MEAL DEAL ENDS 6TH APRIL BUT STARTS AGAIN 4TH NOVEMBER! In the photo are Emma White & Rob Emery from the Playpark, plus Christine Tew, Sue Roach, Bill Hartland and Jeff Bayle from the Crown. 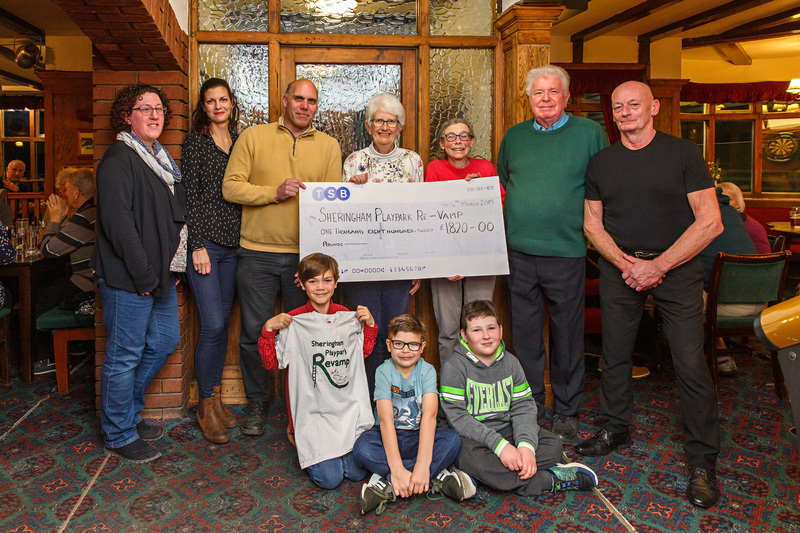 ‍The organisers of The Crown Inn, Sheringham Monday night quiz handing over a cheque riased by the quizzes to the folks of the Sheringham Playpark revamp. Our meal-deal finishes on the 6th April, last chance everyone! And enjoy the Grand National that day aswell, always a good atmosphere! 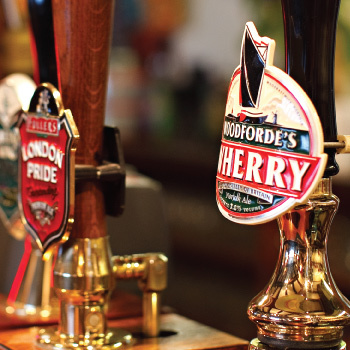 With a seafront location, sea views, an extensive food menu and real ale, The Crown Inn is the perfect location for enjoying a refreshing pint or a glass of wine and bite to eat. The Crown has been run by Bob Brewster since 1978 and hosts events for holiday makers and locals alike. 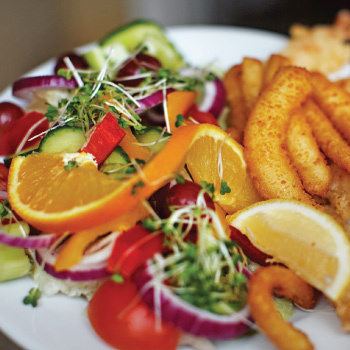 Food is served from 12 noon to 8.30pm seven days a week! Regular events include the very popular Monday night quiz, and live bands. ‍All Free Entry. 9pm starts unless stated. There is live music most Saturdays at The Crown and during the summer season, there is often live music 4-5 times a week.